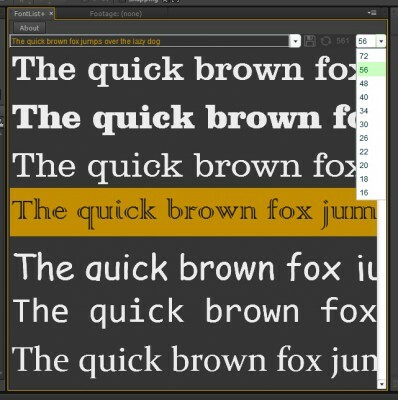 A dockable font preview panel for After Effects. 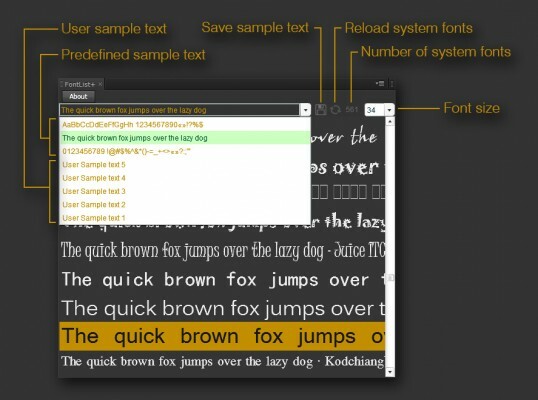 Yes, finally browse fonts visually! Before you purchase we recommend to try out our demo version. 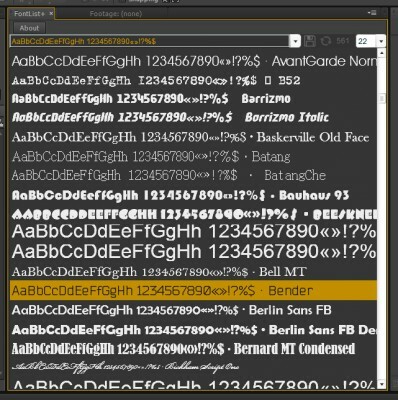 A dockable font preview panel for After Effects. Yes, finally! 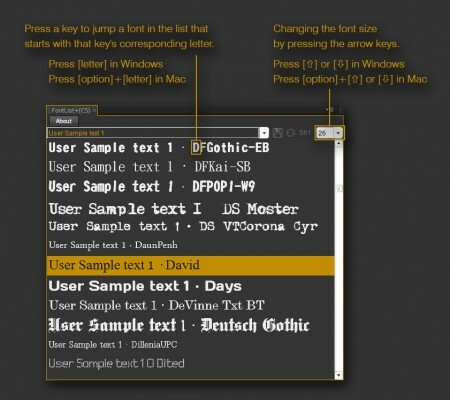 Fonts preview samples with their names or with your own text sample. Copy font name to clipboard by clicking.